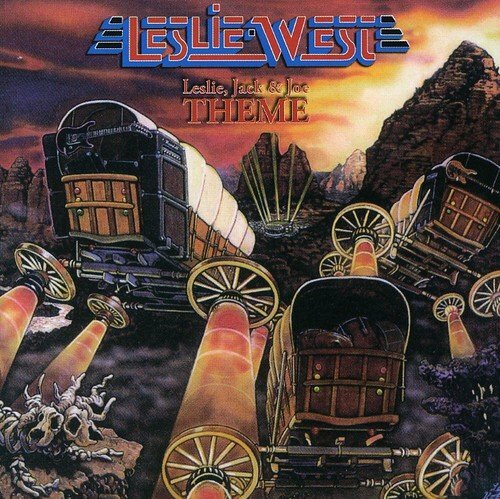 You don’t hear a lot from Leslie West these days. The under-rated guitarist has sort of faded into the distance since his two ’70s bands–Mountain and West, Bruce & Laing–called it quits. But for those who’d like to catch up on what the hefty picker has been up to, his new album Theme is just the ticket. The LP is centered around a remake of the Mountain classic, “Theme for an Imaginary Western”, which West re-recorded at the request of renegade New York DJ Howard Stern. It’s a beautiful, inspiring tune, made even more so by the soulful vocals of Cream veteran Jack Bruce, who plays bass and shares lead vocals with Leslie on the album. Another highlight is “I’m Cryin'”, which is just West on guitar, goin’ for what he knows best. That lovely thick tone of his never sounded better. With drummer Joe Franco rounding out the band, the three rock like crazy on “Motherlode”, and perform live versions of Hendrix’s “Red House”, Dixon’s “Spoonful”, and Presley’s “Love Me Tender”.